Brock + Barbara were so much fun during their engagement shoot in Downtown Portland. 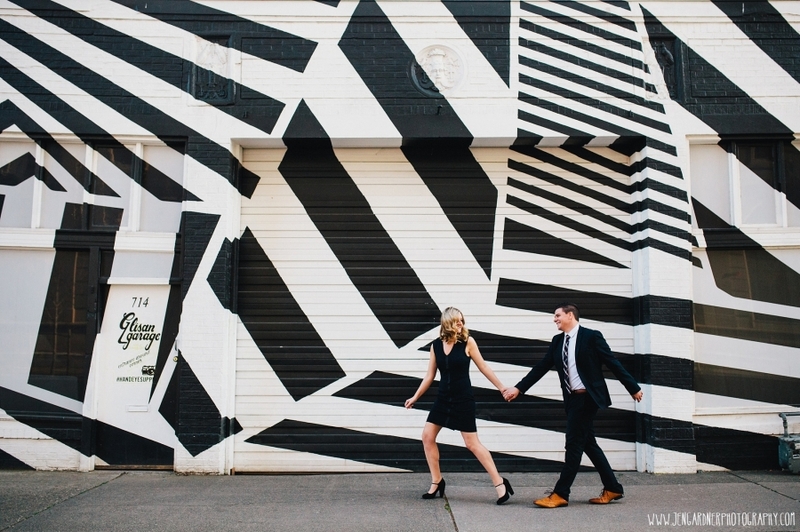 They totally nailed it with their beautiful outfits that matched this dazzle camo mural in Portland. I’m a sucker for fun murals.